SJSU’s first-ever women’s track team gets going. 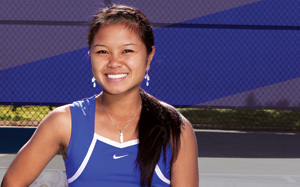 Spartan Chau Truong writes, eats and throws a ball with her right hand. But she plays tennis with her left.